Add a little handmade holiday cheer to your tree this year (or make some for a special gift)! We’ve gathered together some of our favorite free projects and tutorials from around the web for holiday tree ornaments, garland, and even a simple skirt. Don’t forget that ornaments can also add that little personal touch to wrapped gifts, especially if you’ve made them yourself. Make an elegant ornament from strips of scrap fabrics and a few special buttons. 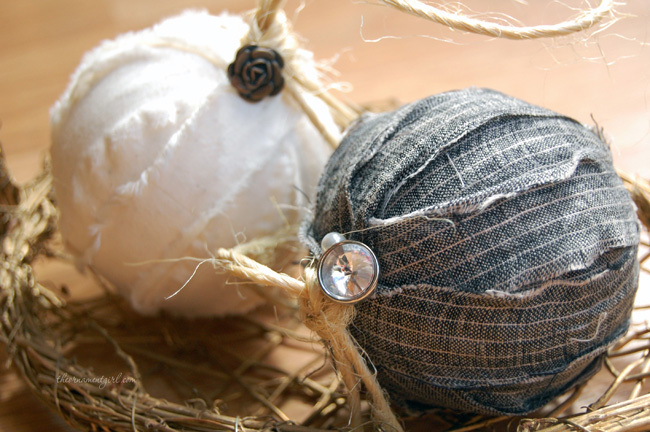 Find the Rag Ball Christmas Ornaments tutorial from The Ornament Girl. These little owl ornaments are so cute! 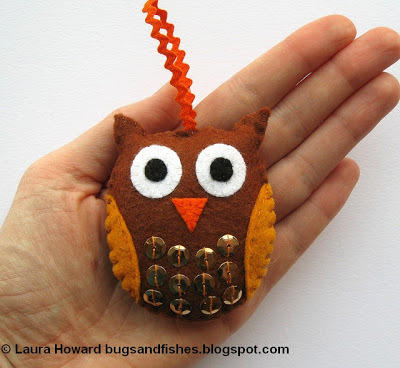 Make a bunch with the Felt Owl Ornament tutorial from Lupin and Bugs and Fishes. These snowballs never melt! Find the Wool Felt Snowball Ornament tutorial along with several others at Patchwork Posse’s Wool Felt Holiday Ornament Tutorial roundup. 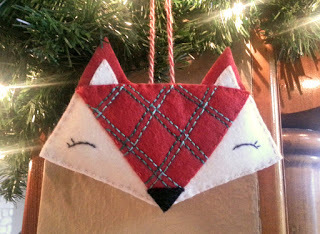 Make a sweet fox to add to your tree with the Festive Fox Pattern Ornament and Tutorial from Beck and Lundy. 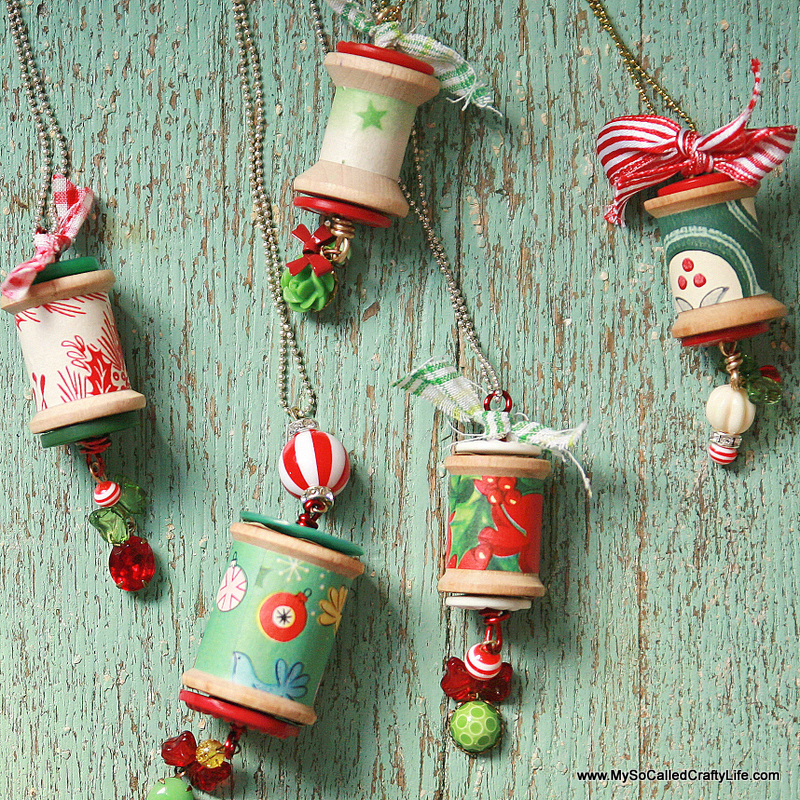 These pretty Holiday spool necklaces are so sweet, and we can easily imagine them hanging from a tree. 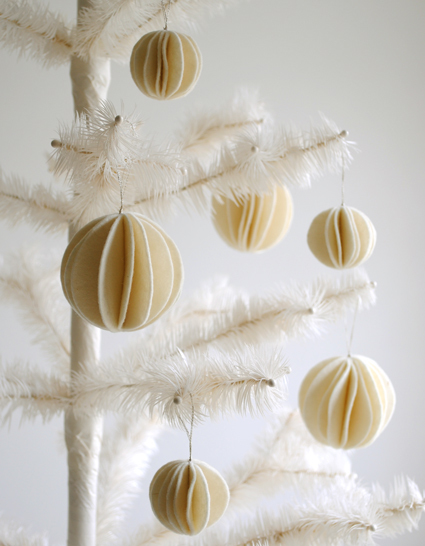 Get the DIY Holiday Spool tutorial from My So Called Crafty Life. Take decorative paper shapes and add stitching for instant Holiday garland! 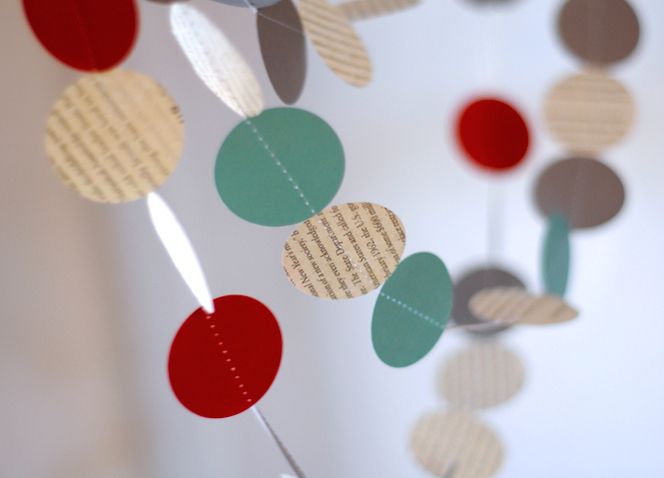 Find the How To: Make Modern Paper Holiday Garland tutorial from Curbly. 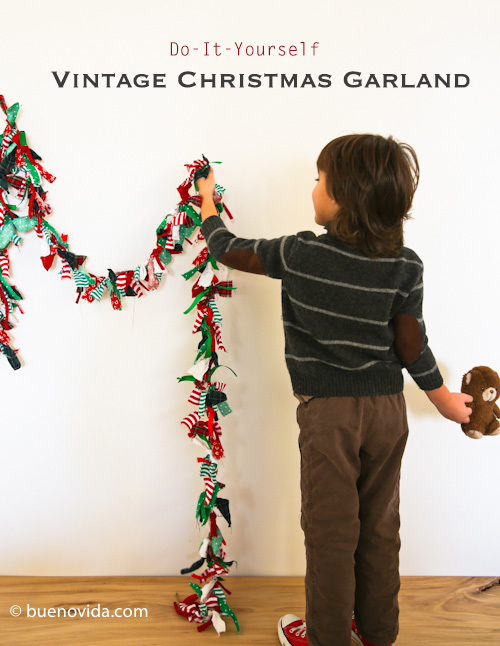 Use strips of colorful fabrics to create a vintage style garland with the Vintage Christmas Garland tutorial from Dana. A great craft for little fingers! 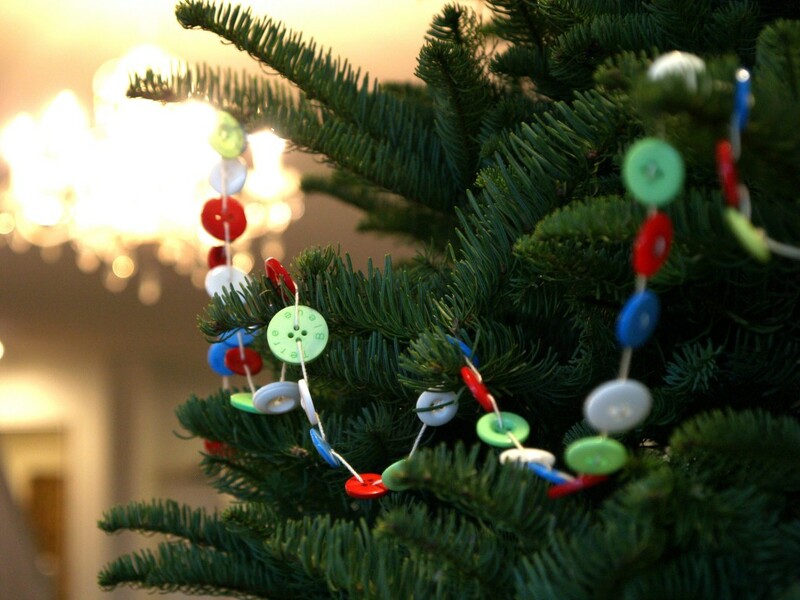 Make a Button Garland for your Christmas Tree with the how-to from The Magic Onoins. You don’t have to have a giant tree in your home to celebrate the holidays in style. 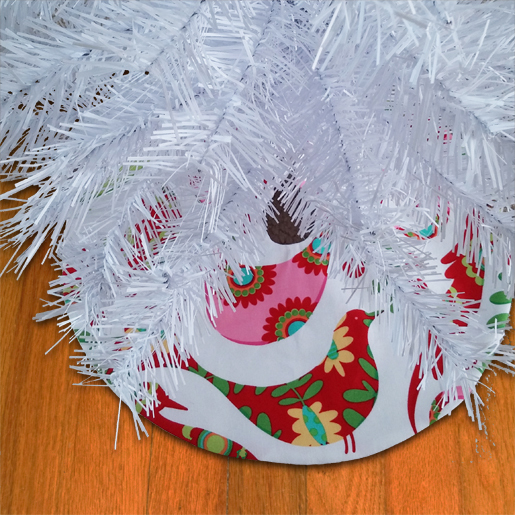 This Mini Holiday Tree Skirt fits tabletop trees and is a great way to dress up your home with just a little fabric.